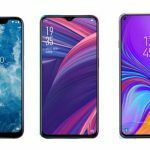 It’s mid of December 2018 and HMD Global has already announced two new smartphones in the Indian market. 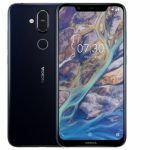 Nokia 7.1 falls under the competitive budget segment while the Nokia 8.1 targets the premium mid-range market. 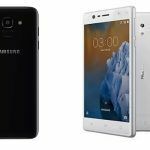 Both the newly launched smartphones run on the latest version of Android i.e. Android 9.0 Pie out-of-the-box. 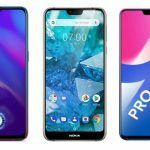 Since Nokia smartphones are part of the Android One program, they tend to receive updates faster than others. 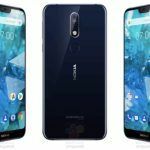 HMD Global has now started pushing a new update to both the devices with December 2018 Android Security patch. 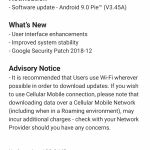 Nokia 7.1 and Nokia 8.1 has now started receiving a new OTA software update that updates the device to Pie Build V3.45A and Pie Build V3.45A respectively. Apart from this, the update also brings the latest December 2018 Android security patch to both the devices. The latest OTA also brings UI enhancements & overall system stability. However, it seems like the update is only available to the Indian market as of now. HMD Global might push the update to more markets in the coming days. If your device still hasn’t received the update notifications, then you can manually check for the update. To do that, head over to the Settings -> System Update and tap on “Check for the update” button. It is highly likely that the company might be rolling out the update in batches so don’t worry if you still haven’t received it. The update for Nokia 7.1 and Nokia 8.1 weighs 139.8MB and 238MB in size respectively. 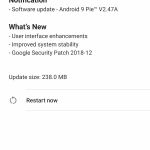 The December 2018 Android Security update patch fixes various security issues. One of the most critical issues is the vulnerability in a Media Framework in which a remote attacker can get access to your device by just using a file to execute arbitrary code. 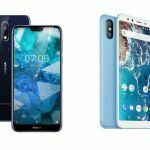 It is also worth mentioning that the company previously promised a minimum of two years of software support to all the Nokia smartphones. Living up to its promise, Nokia has been updating its smartphones regularly for the last couple of months. Apart from this, Nokia recently rolled out Android Pie update to Nokia 7 users and December security patch to Nokia 7 Plus in the Chinese market. 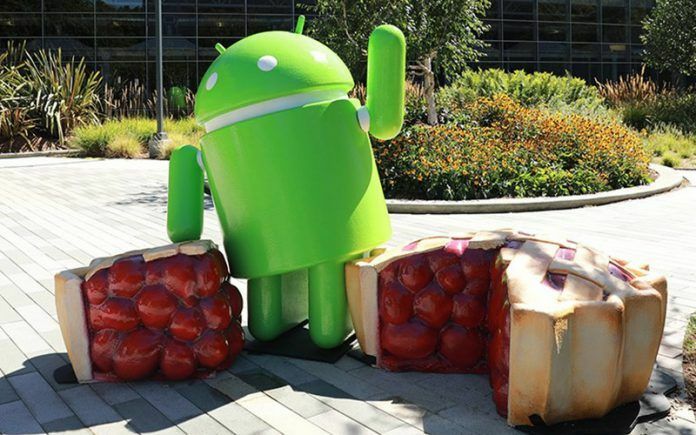 Android 9.0 Pie is the latest Android operating system from Google which brings some of the best features to your devices. The latest OS by Google comes with an Adaptive battery feature which uses Artificial Intelligence to give you a better battery life. The feature recognizes the apps you use most and then prioritize system resources. Another notable highlight is the addition of gesture navigation. Google has introduced a pill shape button instead of the traditional on-screen navigation keys. If for some reasons you don’t like gesture navigations, you can disable it from the settings menu. One another useful feature we found in the Pie update is the addition of Quick Rotation Tool at the nav menu. You can use this button to quickly rotate the screen which actually comes in pretty handy. Apart from just introducing new features, the Pie update overhauls the settings look once again. Speaking of multi-tasking, the recent menu is redesigned which now shows single previews of apps horizontally instead of the previous vertical stack of opened apps. You can navigate through the apps in the recent menu using the gesture pill button on the screen. Amit belongs to the young brigade at MySmartPrice. He has been associated with blogs such as TechFae and TrueTech. Amit is the first one to come online every day to cover leaks and news. He is an engineering student who loves technology and coding. He fell in love with the computers since the moment he got his own and has not looked back since. Amit is equipped with immense knowledge about smartphones and can be quizzed on the same at any given point.